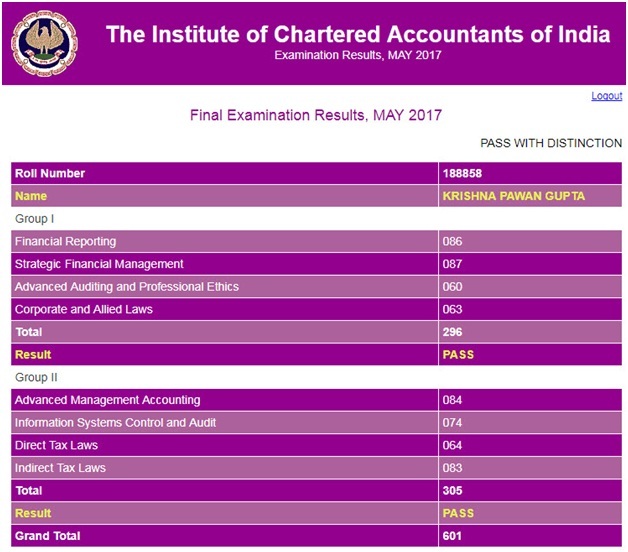 Check Your CA Final Exam Result May 2017 at icaiexam.icai.org on 18th July 2017. 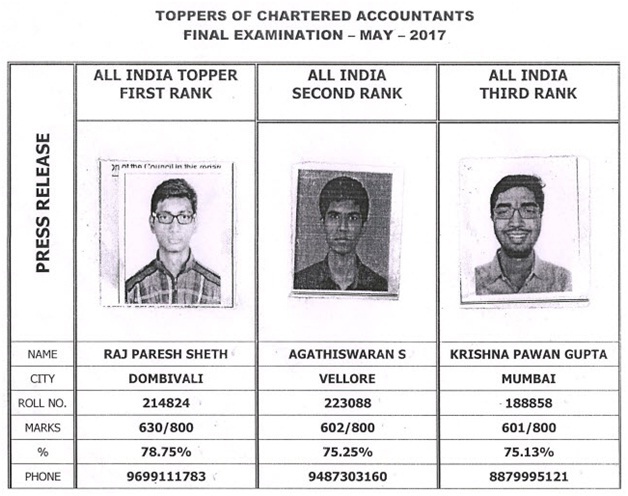 Every year, The Institute of Chartered Accountants of India (ICAI) conducts CA Final exams twice in a year in the months of May and November. CA Final Students have taken the Group - 1 and Group - 2 exams in the month of May from 1st to 17th May 2017. More than one lakh students have attended the CA Final exam. 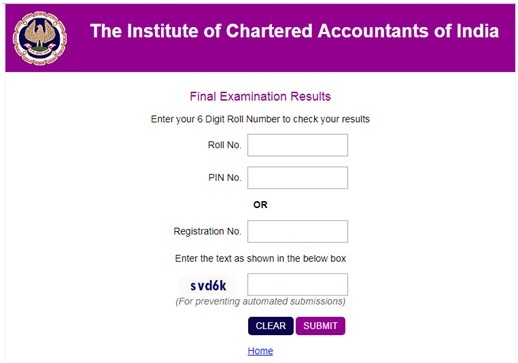 In general, ICAI takes at least two and half months to declare CA Final results. Recently ICAI has announced CA Final exam result date. Check complete details below. 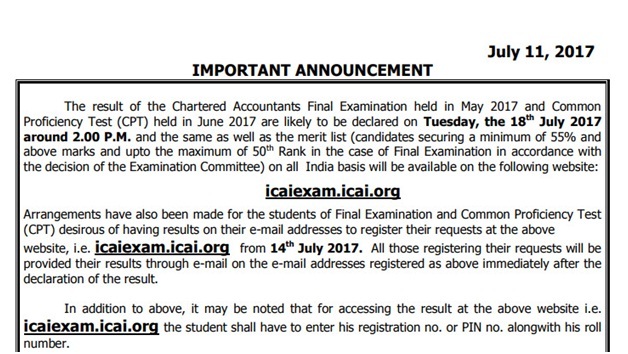 On 11th July 2017, ICAI has announced that CA Final exam results will be declared on Tuesday, 18th July 2017 at 2.00 P.M. After the declaration of CA Final result, ICAI will also release the merit list (candidates securing a minimum of 55% and above marks and up to the maximum of 50th Rank in the case of CA Final Examination) on all India basis, CA Final pass percentage and CA Final center wise results. To check ICAI official notification about CA Final result May 2017, Click Here. 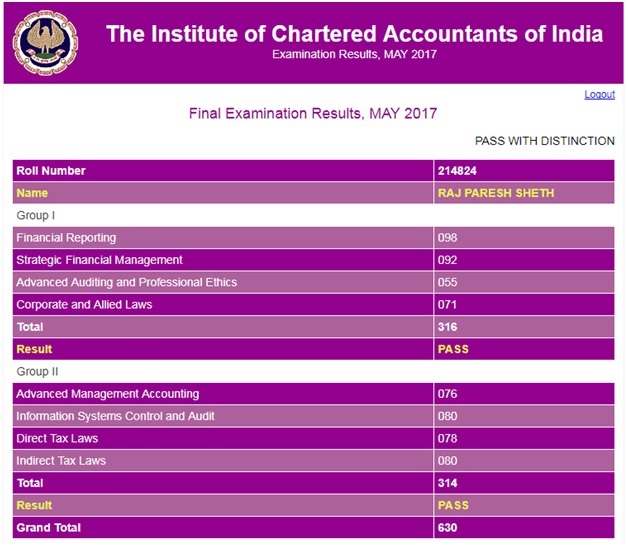 How to Check CA Final Result May 2017? To check CA Final exam result, you should follow below steps. How to Get CA Final Result through E-mail? Arrangements have also been made for the students of CA Final Exam desirous of having results on their e-mail addresses to register their requests at the above website, i.e. icaiexam.icai.org from 14th July 2017. How to Get CA Final Exam Results through SMS? If you are facing any difficulty to check your result, Call ICAI Help Line Telephone numbers: 0120 3054 851, 852, 853, 854 and 835 0120 4953 751,752, 753 and 754 or send a mail to final_examhelpline@icai.in. Below is the Number of students appeared for CA Final Exam May 2017, Number of students passed and CA Final exam pass percentage details. 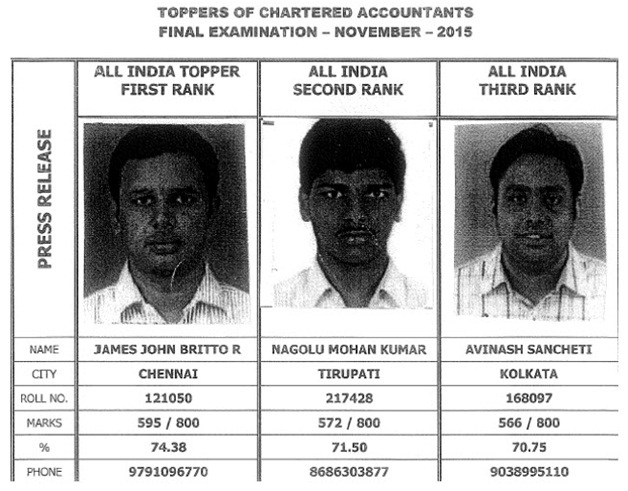 Consequent to the declaration of result as mentioned above, 10,276 candidates are qualified as Chartered Accountants. Now check below CA Final Nov 2016 Toppers Marks and Photos. 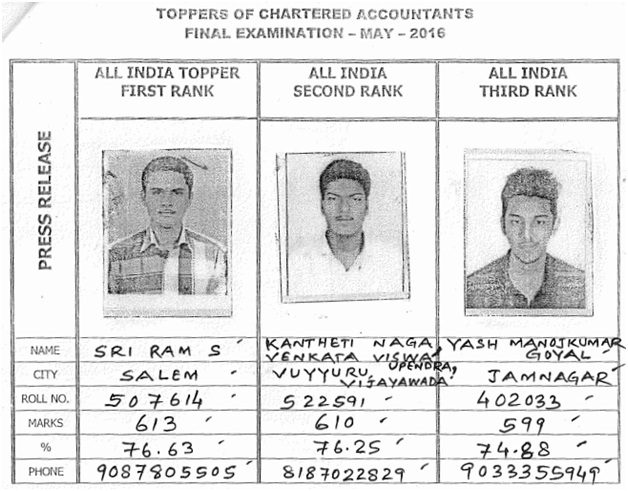 Also, check CA Final May 2016 Toppers Marks and Photos. 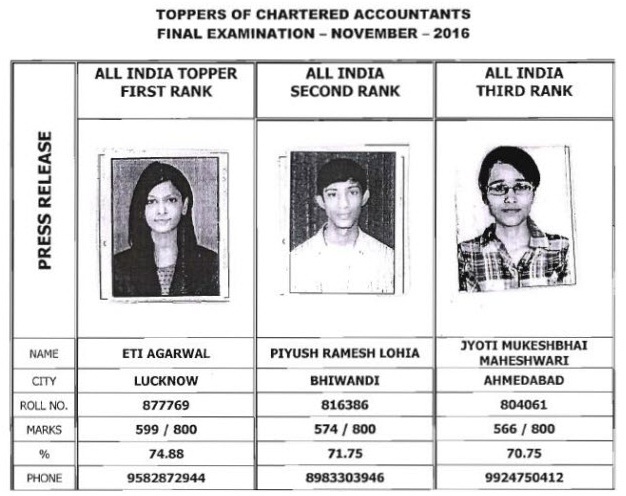 Now Check CA Final Nov 2015 Toppers Marks and Photos. Now check below previous attempts CA pass percentage. Now Check below CA pass percentage Nov 2016. Now Check CA Final pass percentage May 2016.